Product prices and availability are accurate as of 2019-04-16 10:30:40 EDT and are subject to change. Any price and availability information displayed on http://www.amazon.com/ at the time of purchase will apply to the purchase of this product. 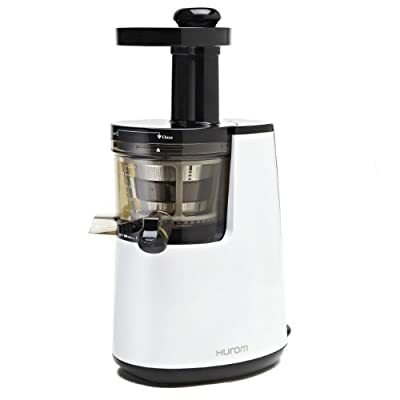 The HUROM Premium Masticating Slow Juicer & Smoothie Maker, with its brand new patented Pulp Control Lever and Juice Cap, allows users to easily make delicious juices in addition to nutritious smoothies made with frozen fruit, mixed drinks, and purees. Control the amount of pulp in your juice with the Pulp Control Lever, mix ingredients inside the juicer bowl and clean up easily with the Juice Cap. Using the included Fine and Coarse strainers, it's now possible to juice anything from bananas and avocados to kale, wheatgrass, even nuts and soybeans. Hurom's patented Slow Squeezing TechnologyTM (SST) gently squeezes ingredients, preserving natural taste & nutrients lost by high-speed juicers that grind and crush. 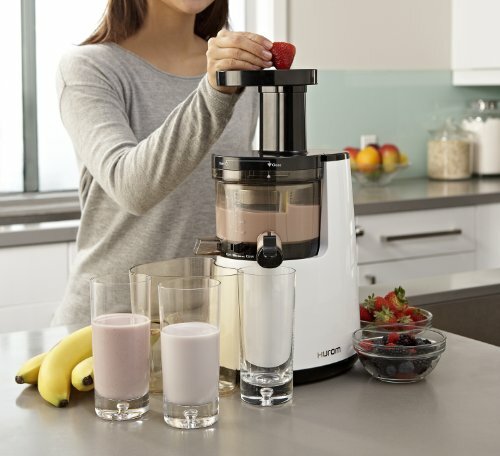 Slow juicing technology also retains heat-sensitive nutrients such as Vitamins A and C, and live enzymes. The new Pulp Control Lever and Juice Cap allow users to determine the level of pulp they want in their juices or allow users to make smoothies and blended beverages quickly and easily. Masticating juicers from Hurom can easily process fruits, vegetables, leafy greens, wheatgrass, nuts, and soy to make a variety of juices, milks, sauces, marinades, even baby food. Hurom's durable motor has a 10-year warranty, uses only 150 watts of energy and is practically silent. 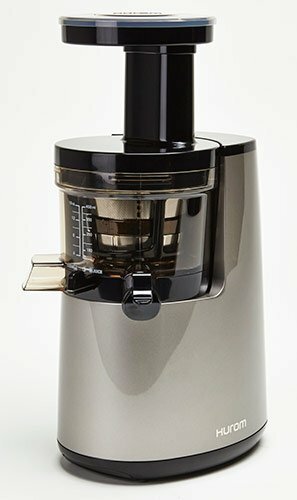 The cold-press juicer features a heavy-duty Ultem® strainer and auger, which is eight times stronger than traditional plastics and handles both coarse and fine foods easily. By choosing between juicing and smoothies, as well as pulp level in their juices, users have the ability to decide how much solid fiber they consume in their juices.